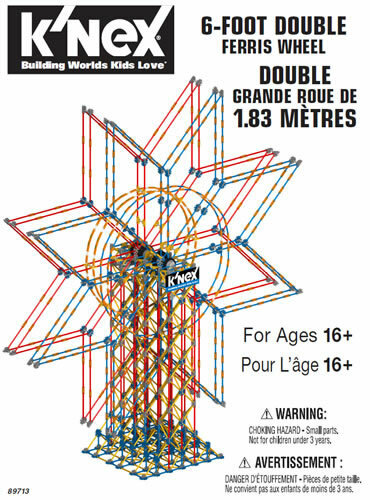 K'NEX bricks are similar to, and may be attached to, building bricks manufactured by companies. 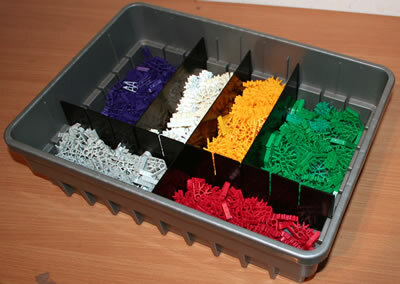 However, K'NEX bricks are unique in that they include specially-designed holes, which allow each brick to be joined to one or more K'NEX rods. This is achieved via the special "brick adaptor", shown in the photo in yellow. This yellow adaptor has a classic K'NEX rod-end, allowing it to be attached to any classic K'NEX connector. The other end of the adaptor is designed so that it may be inserted into any hole in a K'NEX brick, to give a rigid connection. 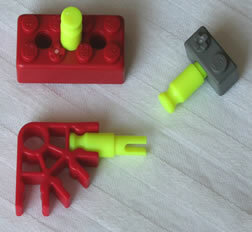 A smaller orange brick adaptor is also available to connect K'NEX bricks to Micro K'NEX connectors, as shown in the photo. A third type of connection allow K'NEX bricks to be attached directly to classic K'NEX connectors. 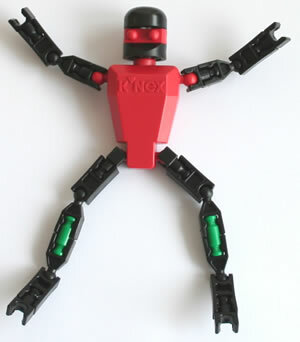 This is achieved via the K'NEX brick-to-connector adaptor, as shown in the photo.